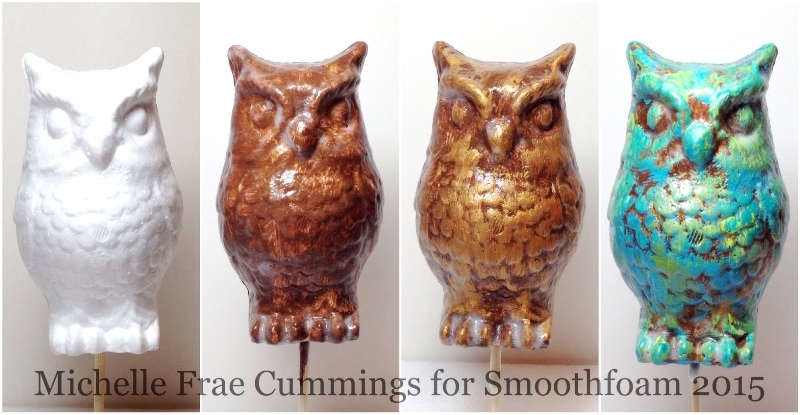 Push a skewer into the bottom of your owl and paint it brown. Poke the owl into a block of Smoothfoam to hold it upright as it dries. 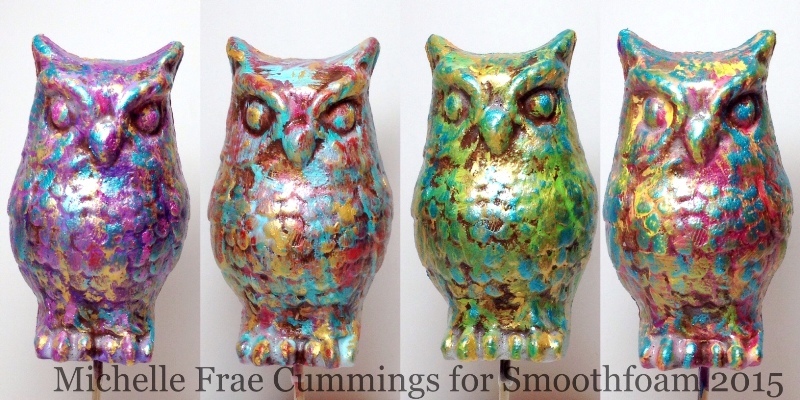 Rinse and dry the foam brush, then add a little gold paint to the owl. Add additional metallic colors sparingly as desired, so the brown paint still shows through. Once all the paint is dry, coat the owl with Mod Podge and allow to dry thoroughly for a few hours. Lightly apply Inka Gold to the owl with your finger, accenting it just enough to give it a vintage look. Here are more patina variations, all starting with the brown and gold paint as a base. This entry was posted in General Crafts, Special Techniques and tagged Animals, Display, Metallic, Special shapes by Michelle Frae Cummings. Bookmark the permalink.